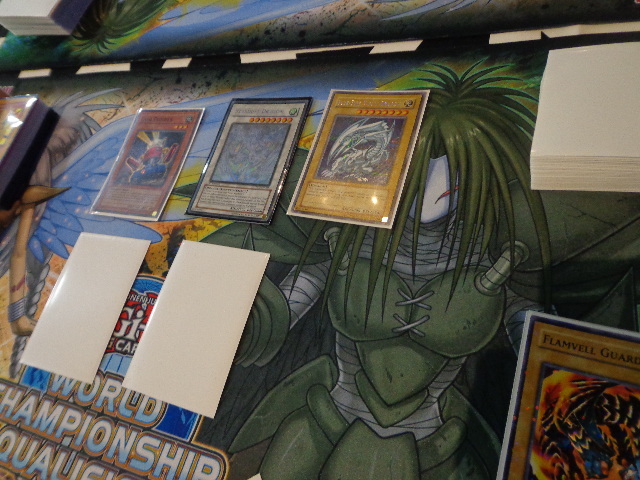 Tahmid Zaman is a familiar face at the top tables of YCS competition, so it’s no surprise to find him undefeated so far. He’s putting in work with his Mythic Dragon Ruler Deck today! He’s up against Martin Alcala, who is in his first WCQ! He’s using the newly developed “HAT” Deck – that’s Hand Artifact Traptrix. This Deck makes the best of a multitude of monster themes for a powerful combination! 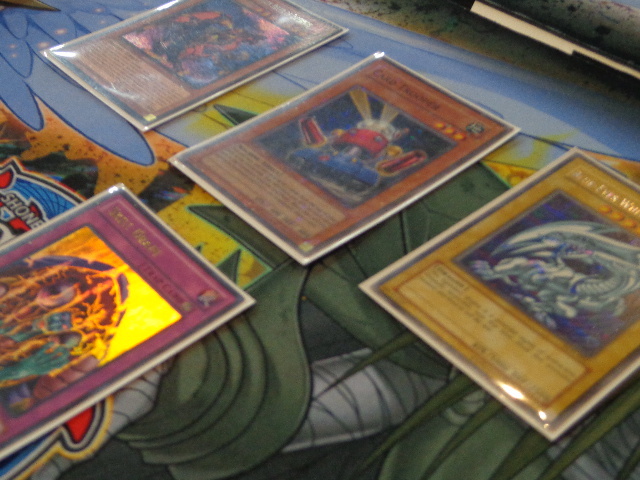 Zaman began the Duel with Trade-In, Card Trooper, Phoenix Wing Wind Blast, Upstart Goblin, Blue-Eyes White Dragon, and Blaster, Dragon Ruler of Infernos. He played Card Trooper first, sending Trade-In, Soul Charge, and Gold Sarcophagus to the Graveyard. 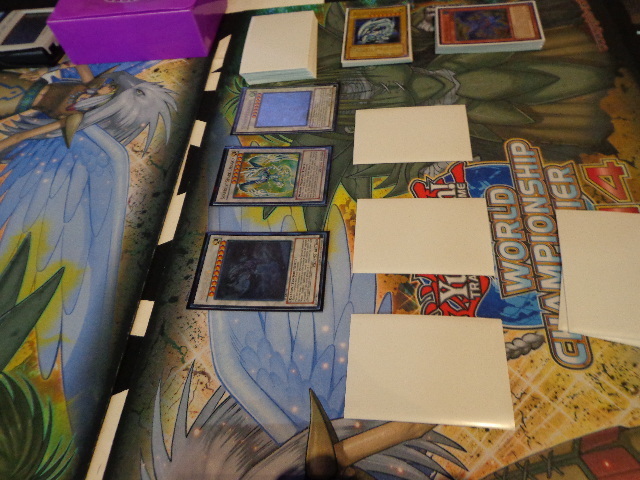 He played Trade-In next, swapping Blue-Eyes White Dragon for Skill Drain and Soul Charge. Upstart Goblin gave him Dragon Shrine, which he used to put Flamvell Guard and Tempest, Dragon Ruler of Storms in the Graveyard. He played Soul Charge to revive Tempest, Flamvell Guard, and Blue-Eyes White Dragon. He tuned Guard to Tempest for Stardust Dragon, then Set Skill Drain and Phoenix Wing Wind Blast. What a turn! Alcala played Upstart Goblin, then Set a monster and four back row cards. In the End Phase, Zaman flipped Skill Drain. Zaman drew Dragon Shrine. Card Trooper sent Upstart Goblin and 2 Cards of Consonance to the Graveyard. Zaman sent Blue-Eyes White Dragon to attack, and it wiped out Fire Hand. Zaman negated Fire Hand’s effect with Stardust Dragon, and Card Trooper attacked directly. In Main Phase 2, Zaman used Dragon Shrine to load Flamvell Guard and Tidal, Dragon Ruler of Waterfalls in the Graveyard. At the end of the turn, Stardust Dragon returned to the field. Alcala Set a back row card. Zaman drew Redox, Dragon Ruler of Boulders. He sent Blue-Eyes to attack, then lost his Stardust to Dimensional Prison. Card Trooper attacked directly. Zaman drew Upstart Goblin. He Special Summoned Blaster by banishing both Flamvell Guards from his Graveyard, then played Phoenix Wing Wind Blast to spin away Alcala’s monster. He attacked with Blue-Eyes, and Alcala used Artifact Sanctum to Special Summon Artifact Moralltach in Defense Position. Blue-Eyes wiped it out, and Blaster and Card Trooper hit directly. Alcala drew his next card, and conceded! Zaman handles the first Duel with ease, thanks to Skill Drain and his powerful Dragons! Alcala started things off with a Set monster and three back row cards. Zaman’s hand was The White Stone of Legend, Dragon Shrine, Burial from a Different Dimension, Soul Charge, Malevolent Catastrophe, and Trade-In. He Set Catastrophe. Alcala flipped Fire Hand and attacked. Zaman used Malevolent Catastrophe, destroying Alcala’s Dimensional Prison, Call of the Haunted, and Artifact Ignition! Alcala Set a monster. Zaman drew another Trade-In. He played Dragon Shrine, sending Flamvell Guard and The White Stone of Legend to the Graveyard and adding Blue-Eyes White Dragon to his hand. He played Trade-In, discarding Blue-Eyes to get Tempest, Dragon Ruler of Storms and Royal Decree. He banished White Stone and Flamvell Guard to Special Summon the Tempest, then Normal Summoned his second White Stone. He Synchro Summoned Stardust Dragon and searched out another Blue-Eyes. The second Trade-In gave him Dragon Shrine and Soul Charge. He Set Royal Decree and passed his turn. Alcala turned Fire Hand to Defense Position and Set a back row card. Zaman drew Torrential Tribute. Dragon Shrine put Flamvell Guard and Blaster, Dragon Ruler of Infernos in the Graveyard. He activated Blaster by banishing White Stone and Tempest. Alcala banished Blaster with D.D. Crow, but Zaman still searched out Debris Dragon with Tempest’s effect. Stardust destroyed Fire Hand in battle and negated its effect. Zaman Set Torrential Tribute and returned his Stardust to the field. Zaman drew another Royal Decree. He activated Burial from a Different Dimension, returning Tempest, Blaster, and Flamvell Guard. He revived Blaster, then Normal Summoned Debris Dragon to get Flamvell Guard! He tuned Guard to Blaster, Synchro Summoning Stardust Spark Dragon! He revived Tempest with its effect, and moved to the Battle Phase. Stardust attacked the Set Fire Hand and negated it, then Debris, Tempest, and Stardust Spark attacked directly. In Main Phase 2, Zaman tuned Debris to Tempest for Star Eater. He Set the second Decree, then revived Stardust Dragon. Alcala could do nothing but concede next turn! Tahmid Zaman is victorious with Mythic Dragon Rulers!